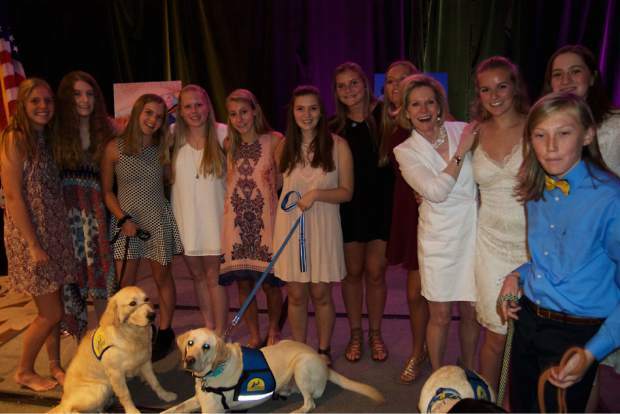 The Vail Valley junior volunteer chapter of Canine Companions for Independence helped support the cause at the Puttin' on the Ritz Gala on Aug. 12. 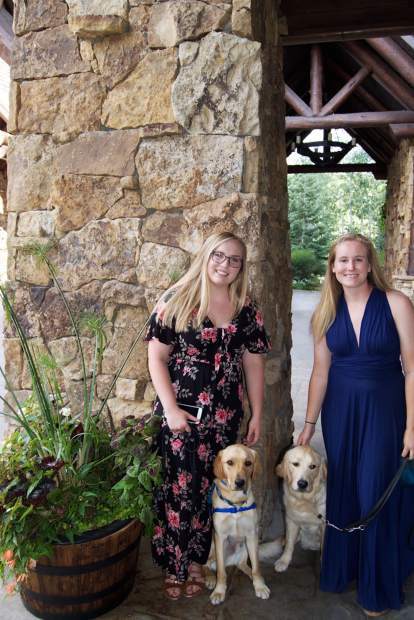 Ashley Wilt and Elijiah and Emily Oltmanns and Haddix take a walk outside the Ritz-Carlton Bachelor Gulch before the Canine Companions for Independence fundraising gala. 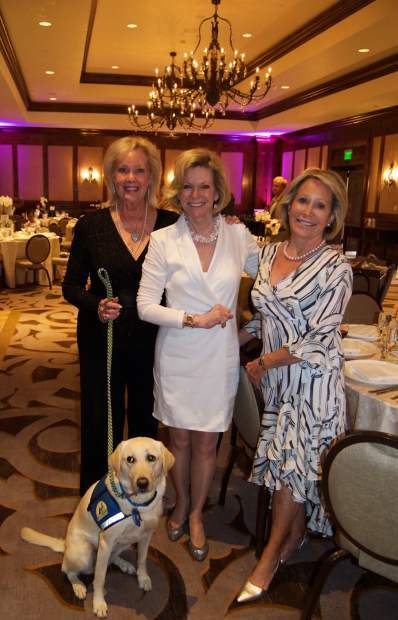 Event chairs Kay Michelsen and Mary Ellen Anderson honored Anne Roberts, center, founding president of the Vail Valley Chapter of Canine Companions, at the Puttin’ on the Ritz Gala. 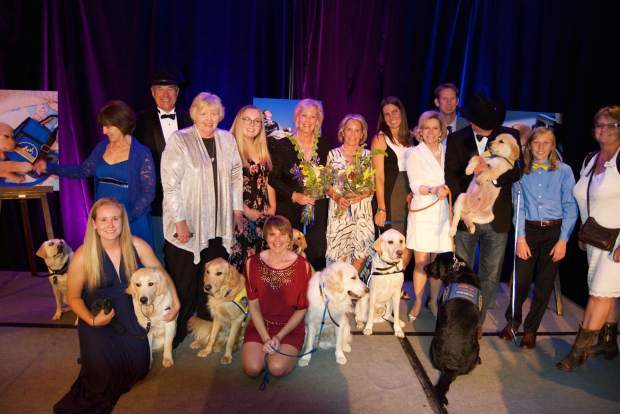 The Canine Companions for Independence community celebrated successes at the Puttin’ on the Ritz Gala to benefit of the nonprofit organization that enhances the lives of people with disabilities by providing expertly trained assistance dogs and support. 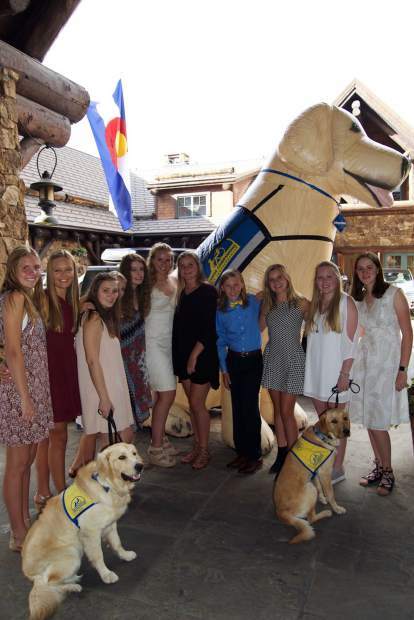 The Vail Valley Chapter of Canine Companions for Independence encompasses puppy raisers, graduates and volunteers in the Vail area. 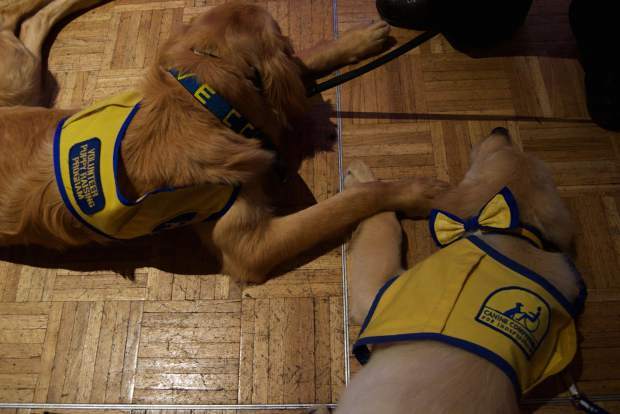 If you’re looking for deeper engagement as a Canine Companions volunteer, then members of the nonprofit encourage you to get involved with the local chapter. 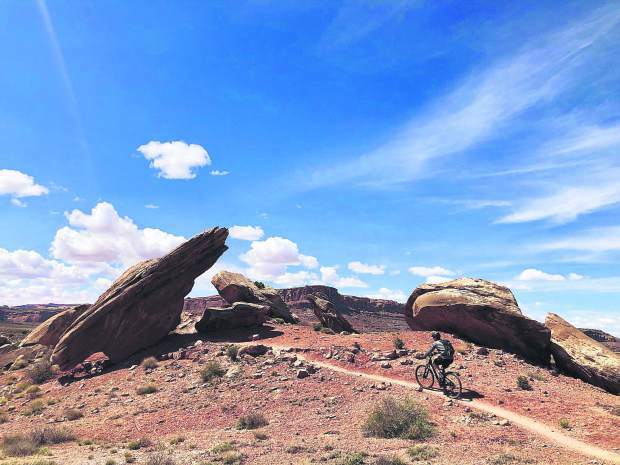 The Vail Valley chapter is an extension of the Southwest Regional Training Center, working to raise awareness, recruit new puppy raisers and volunteers and support one another’s work on behalf of the Canine Companions’ mission of enhancing the lives of people with disabilities by providing highly trained assistance dogs at no charge to the recipient. 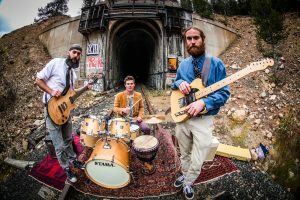 For more information, visit www.cci.org. 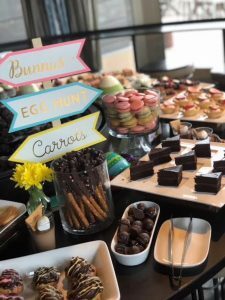 On Aug. 12, during a beautiful late summer evening, at the Ritz-Carlton, Bachelor Gulch, a group of canine lovers came together in support of assistance dogs. 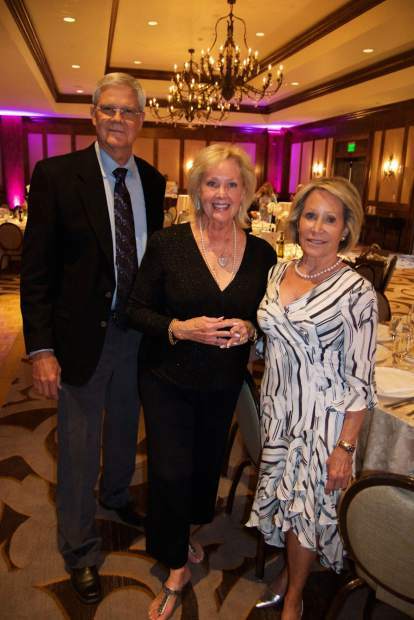 The Puttin’ on the Ritz Gala raised funds for the Vail Valley Chapter of Canine Companions for Independence, which is a nonprofit organization that trains dogs to provide assistance for children, adults and military veterans with disabilities, all free of charge. 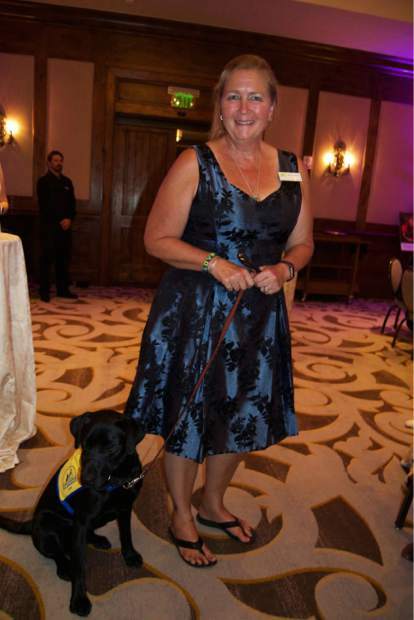 On this occasion, the Ritz-Carlton ballroom was a place for people to mingle, not only with other humans, but also with assistance dogs and one very special puppy. 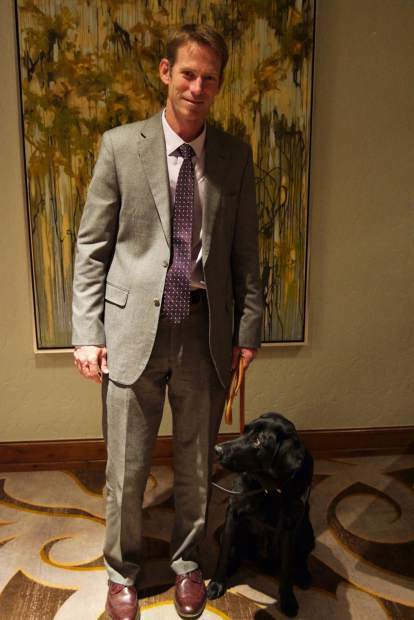 During cocktail hour, guests met Canine Companion graduates and puppy raisers who spend a year and a half training the puppies to be assistance dogs to be matched and placed with people. 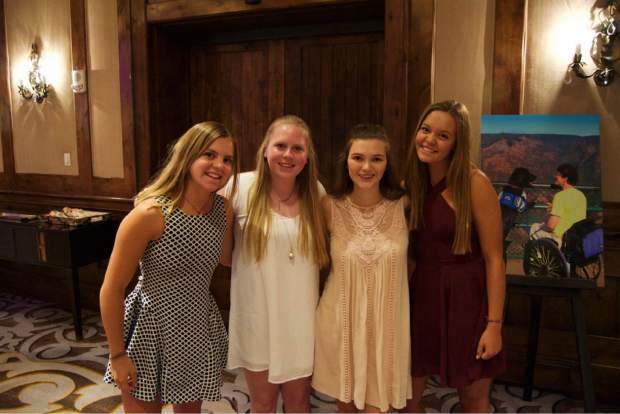 Event chairs Kay Michelsen and Mary Ellen Anderson greeted guests with a warm welcome and thanked members of the CCI Vail Valley Volunteer chapter and junior chapter. 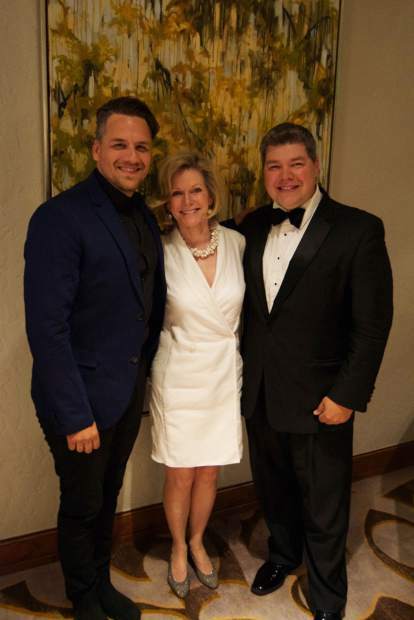 “We are helping people four paws at a time,” Michelson said, as she thanked event sponsors, donors and volunteers and recognized Ritz-Carlton General Manager Steve Janicek and Executive Chef Jasper Schneider. Assistance dogs provide social and emotional benefits to children and adults who are often marginalized because of their disabilities. These expertly trained assistance dogs can learn up to 40 commands and make everyday life easier for adults and children with physical and developmental disabilities. They can open and close doors, retrieve dropped objects, activate light switches and alert partners to important sounds such as smoke detectors and doorbells. These are exceptional dogs for exceptional people. 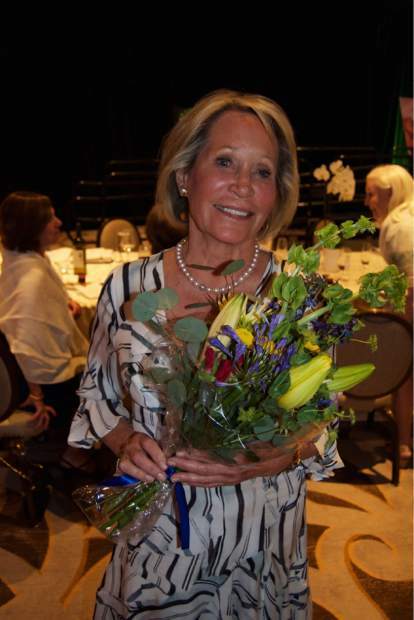 There was a fun video presentation recalling the modeling career and times of the evening’s honored guest, Anne Roberts, founding president of the Vail Valley chapter of Canine Companions. 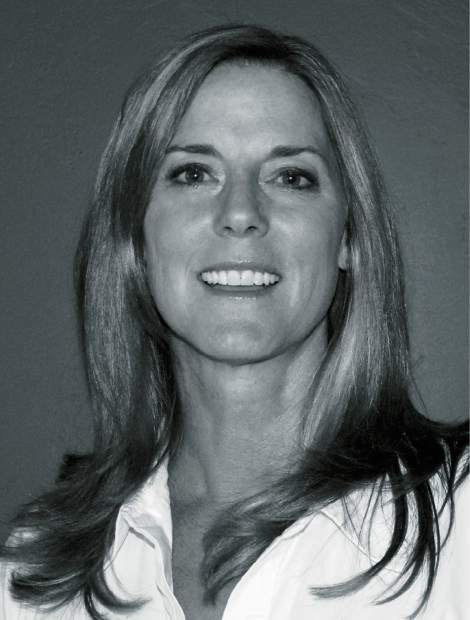 “We are thrilled to honor Anne this evening for her leadership, enthusiasm and dedication to enhancing the lives of people living with disabilities,” Michelsen said. Roberts was honored with a handmade glass Labrador retriever by Simon Pierce. 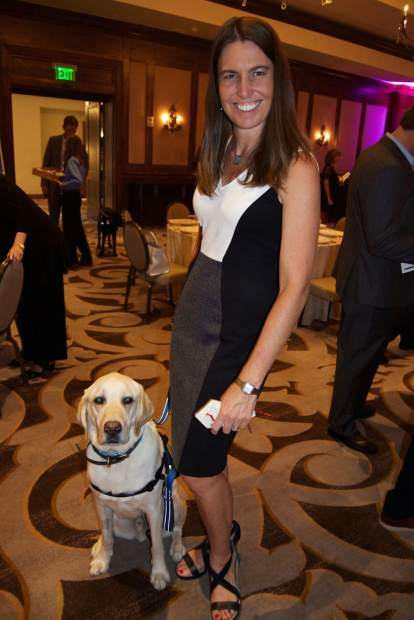 Keynote speaker Meghan Hurley Backofen works with Frasier, a yellow Labrador and Golden Retriever cross who is trained to respond to 40 commands. 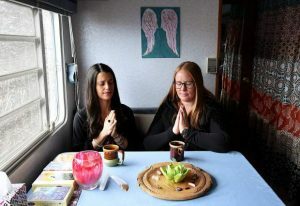 The pair works with child abuse victims and mental health clinicians, law enforcement, caseworkers and other professionals to provide support for victims. 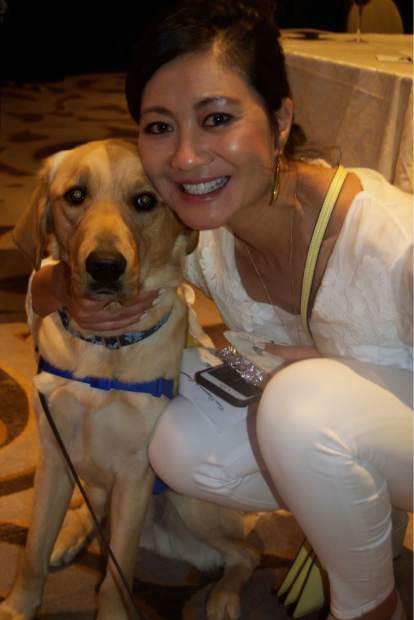 To learn more about programming and training opportunities with Canine Companions for Independence and how to support, visit http://www.cci.org. 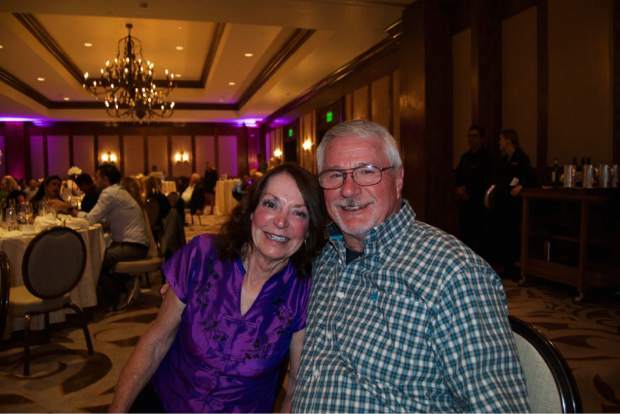 Betty Ann Woodland is a longtime local that covers social events including fundraisers for nonprofits, local happenings and soirees of all kinds. She can be reached at bettyannw6@ gmail.com.